The chisel. We currently have only one in our shop, a cheap one. It is better to get an expensive chisel, because these will most likely have better steel used in them. Our chisel actually becomes visibly dull when working with oak. 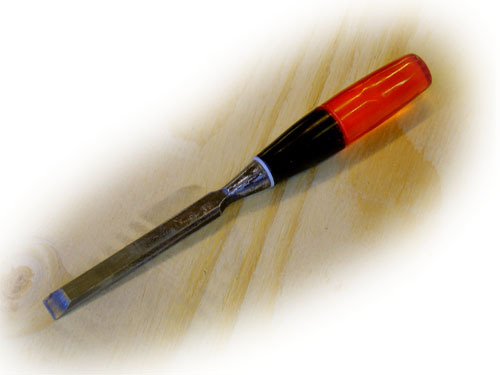 Quality aside, it is a very important tool, like small bladed knife with a long handle that you can hammer. This means more force, better access. Plus, there is the edge profile. If you are planning to build a ship, you definitely need one. Plywood is not all too good of a friend with this tool, but solid woods definitely are.